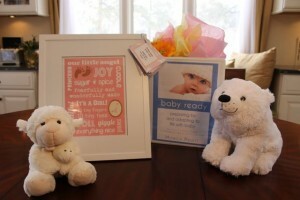 I’m very excited to share with you that my friend Monica from HappyandBlessedHome.com is launching her first eBook titled “Baby Ready – Preparing for and Adapting to Life with Baby.” This is the ultimate resource for any expectant mom, experienced or first-time – it also makes a perfect baby shower gift! What I love the most about this book are all of the recommendations for products! 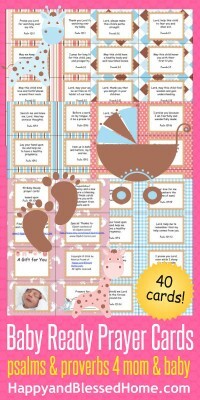 I would have loved to have this list when I was pregnant with my first! I also really love all of the freezer meal recipes! 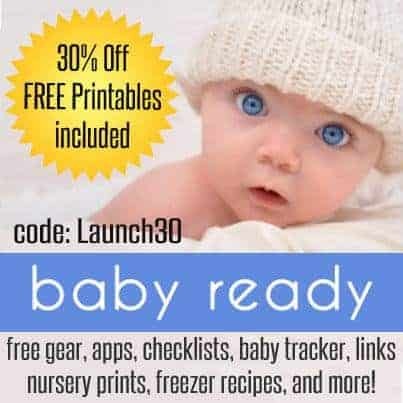 There are freebies including free baby gear and magazines, free nursery planner and nursery wall art, free prayer cards for pregnancy and baby, free eBook for first-time dads, and/or the free guide to baby play. 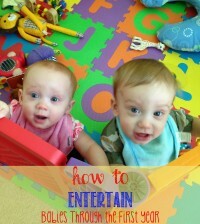 I was surprised to find how comprehensive this book is. 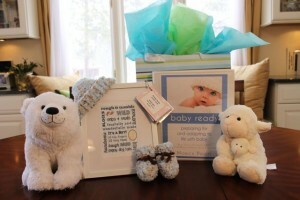 It includes everything you need to know to get ready for your new baby! As a part of the launch, from now through March 31, 2014, readers of Simple Living Mama, will receive a 30% discount on the book and all the printables. To redeem your discount, use the code 30LAUNCH. 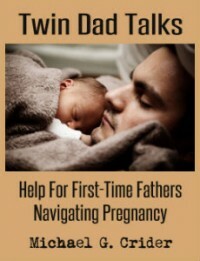 The book is 32 chapters and 115 pages of valuable information including resources, links and more. You can purchase “Baby Ready” and receive the eBook and all the printables for only $7.99 in one easy download by clicking on the image below. Thanks for the awesome review! I pray the book is a blessing to you and your readers!